If you wish to see a ring that would ideally be made in 925 sterling silver, feast your eyes on this cute 925 silver tanzanite cat ring. The jewel is available in gold too but, no metal could deliver that classic timeless look that silver does. For those of you who adore animals in general and cats in particular, the RN001 cat ring from Kaisilver is surely the cutest depiction of the cool feline. The intricate details on this cat ring get highlighted when, a hint of tarnish appears on the metal. The center oval tanzanite gem is natural and is a handpicked piece that, is ideally suited for fine jewelry. The design concept and the gemstone has been given equal emphasis in this, sterling silver tanzanite ring. If it is the cute cat that seems to steal the show it is mainly because, most of us are very familiar with cats. The placement of the tanzanite right in the center of the jewel, gives the stone a prominent appearance even with a moderate size. 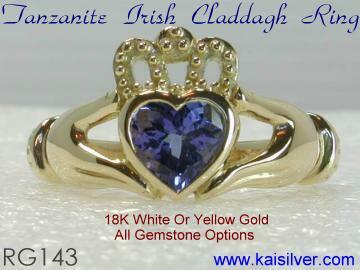 The same tanzanite cat ring can also be ordered in 14k or 18k gold and you can choose, yellow, white or rose gold. With no limitation on gem selection for all Kaisilver custom jewelry, you can pick the gemstone of your choice for the gold or 925 silver cat ring. Fine craftsmanship and custom cut gems complement, the talented designers who have given life and zest to this amazing jewel. The cat eyes in this tanzanite 925 sillver ring are set with round marcasite stones, you can request for black diamonds to be used instead. The support team will inform you of the price applicable for the ring when, gems other than marcasite are selected for the eyes of the cat. The ring is neither bulky nor light and flimsy and bears a metal weight of 5 to 7 grams. In cases where you need a large ring size for your sterling silver cat ring with tanzanite, we will let you know if the big ring requires additional metal to retain its long term durability. The good thing about cat jewelry is that, it is suitable for girls and ladies of all ages - the quiet and clean image projected by the feline, has won it millions of fans across nations, religions and ages. This is something that makes the tanzanite 925 silver ring a perfect choice for a gift - a birthstone ring, mothers ring, graduation gift, valentines ring, birthday gift and even, just a special way to convey your kindness and gratitude to a deserving girl or lady. When selecting a silver gift ring spend time to decide on the gem, the selection could be made based on a birthstone, favorite gem color or some traditional custom attributed to the gem. As you will notice from the price table for the sterling silver tanzanite ring shown below, the silver ring is reasonably priced for all gem options. This ensures that the jewel is a great buy for yourself, or as a gift for someone who makes a difference in your life. Available in gold and sterling silver with, good craftsmanship. Options for the gold cat ring include 14k or 18k, white, yellow or pink gold. Request for price quote if you prefer 10k, white, yellow or rose gold. 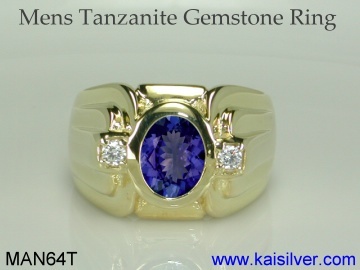 We can provide white rhodium, yellow or gold plating for the silver tanzanite ring. We recommend that silver jewelry be left un-plated, discuss this with our support experts. The 925 silver tanzanite cat ring is custom made in all ring sizes. Choose the gem of your choice, you are not limited to what you see on the website. The center gemstone is a 6x4mm faceted gemstone. The eyes are set with marcasite stones. For the gold cat tanzanite ring, you can opt for black diamonds for the eyes. Tanzanite is a very rare gem, it is about 1,000 times rarer than diamonds. The December birthstones now have tanzanite as an option. While you can choose the gemstone of your choice for the RN001 Kaisilver cat ring, there are a few important reasons why we chose to describe the silver tanzanite ring. The gemstone in this ring is one of the rarest gemstones ever found, it is around 1,000 times rarer than diamond. This amazing violet-blue gem is commercially mined in just one small piece of land in Africa, the mining operation is concentrated at the foothills of Mount Kilimanjaro in Tanzania. Given the fact that tanzanite was first introduced to the markets in just 1967, this African gemstone has taken the fashion and jewelry sectors by storm. The gorgeous beauty with its rare and unique mining location, prompted experts to alter the birthstone charts - tanzanite was a late entrant as an option for a December birthstone. This is the reason why the cat silver tanzanite ring, symbolizes something exclusive and unique - gift it to someone and you are showing them that you really care and appreciate their effort and friendship. And don't forget that the gem is gorgeous and exotic too! We spoke about plating silver rings in the ring highlights mentioned above, here is a short note on that. The 925 silver tanzanite ring shown on this page, is left unplated - a slight tarnish on the jewel actually helps highlight the fine details created by the designers and artisans. Cleaning and polishing your silver cat ring will be easy if, you leave the jewel un-plated and do not allow the tarnish to remain for long and grow stubborn. Any recommended silver jewelry cleaning solution, lotion or fabric will do the job - just follow instructions provided with the polishing material that you use. Strong solvents and detergents, acids, heat and ultrasonic cleaners should not be used to clean jewelry that is set with tanzanite and many other gems. Just remember that you do not want an absolutely clean and sparkling finish for your tanzanite sterling silver ring, leave some tarnish to remain within the design elements of the jewel. No matter which method and material you use to clean your silver jewelry, always end the process with a clean and thorough rinse of the jewel. You don't want any residue to be remain in contact with the metal or gemstone - a soft toothbrush and a few drops of mild liquid soap dissolved in a bowl of clean water, can also be used to get the task completed. Now, all that we mentioned above is relevant for a silver ring that has never been plated, in the next paragraph we talk about silver jewelry that is plated with rhodium, gold, platinum or any other metal or material. The understanding that silver will cease to tarnish when it is plated is not wrong but, the story does not end there. Any plating done on silver will come off after a while, this will be visible as patches and streaks. Cleaning and polishing your tanzanite silver cat ring when the plating is partially worn off, can be challenge. This is the reason why we recommend that, you leave your ring un-plated. If you have read these details but, would still prefer to have your cat ring plated, discuss the issue with our support team. We provide options for white rhodium, yellow gold or pink gold plating on sterling silver jewelry. 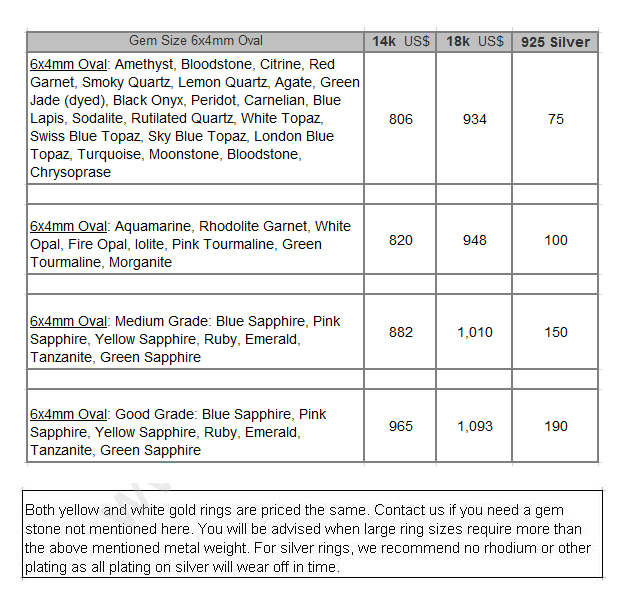 Pricing And Options For The Silver Cat Ring. Buying: To begin with don't expect to find a 'Buy Now' or 'Checkout' icon on our website. We do not encourage buyers to make a rush buying decision. Communicate your requirements to the support team at sales@kaisilver.com they will be glad to guide and advice you. Once you have all the information required to make the decision, including pricing, shipping charges, production lead time etc - move to the payment stage. Production is 4 to 6 weeks from the stage of order confirmation and receipt of payment. We accept payment through Paypal and Western Union but, recommend Paypal for first time buyers. Let us know your preference and we will provide details for the same. Shipping is done through FEDEX with web tracking, there is an additional charge of 35 U.S$ to be added to the above quoted price to cover the shipping fee. Kaisilver: It would not be wrong to say that we pioneered the online custom jewelry landscape in Thailand. Beginning in late 2001, we have until today built a base of more than 7,000 quality conscious gem and jewelry clients. Both gold and silver jewelry, is given the same attention and dedication by some of Thailand's finest craftsmen and artisans. We can craft jewelry based on our designs or those provided by you. There is no limitation on the gemstones that you can choose, so do not be limited by what you read or see on our website. Most gem mining and cutting operations allow us to have preferential access to their gem inventories, this gives us the opportunity to access more than 200 million carats of gemstones. You can therefore rest assured that the gems you get offer good value for the money you spend as, we are not limited to picking from existing inventories and leftovers. The exotic color and rarity of tanzanite is appreciated by both men and ladies. Kaisilver celebrates this spectacular gem with finely crafted, gold and 925 silver tanzanite rings for men. The designs can be selected from our website or be provided by you ... more. With colored gemstones gaining popularity in bridal jewels including engagement rings, knowledgeable couples are inclined towards wearing a tanzanite engagement ring. Why do experts claim that, tanzanite truly enhances the significance of an engagement ring ... more.